Rio Tinto Group is an Anglo-Australian multinational and one of the world's largest metals and mining corporations. Although primarily focused on extraction of minerals, Rio Tinto also has significant operations in refining, particularly for refining bauxite and iron ore.
"I am pleased to announce that CBH has gone live using Eka's trading system. This is a very important project for us, as Eka's modern, integrated platform for commodity management will position us well to manage risk and further growth. A key ingredient for this success is the close collaboration between the internal CBH teams and our Eka colleagues. I thank the Eka team for their professionalism and commitment throughout the process. CBH is looking forward to reaping the benefits of this implementation and continuing to work with the Eka team." Cargill's major businesses are trading, purchasing and distributing grain and other agricultural commodities, such as palm oil; trading in energy, steel and transport; the raising of livestock and production of feed; and producing food ingredients such as starch and glucose syrup, vegetable oils and fats for application in processed foods and industrial use. Bunge is an American agribusiness and food company, incorporated in Bermuda. As well as being an international soybean exporter, it is also involved in food processing, grain trading, and fertilizer. "We believe Eka has developed a product that combined with a cooperative working relationship between our two companies, reflects our operations needs and is the right product for our current business environment." "Eka helps us manage the growth of our business streamlining our business processes with risk management controls while providing greater visibility over our operations." "Eka is the single most critical business support application being used at Boliden currently." "Eka offered the most comprehensive solution and provided the best value. The fact that Eka’s solution is completely integrated with Microsoft Dynamics NAV made our decision easy." "Petronas had outgrown its current systems and needed a scalable front-to-back ETRM platform to support our growing business. Eka offered the best combination of functionality, ease of implementation, and a reputation for ensuring customer success." "Tourmaline had outgrown its current systems and it was imperative we invest in an advanced, multi-commodity ETRM software platform to support our rapidly expanding oil and gas operations." "Having access to the right data at the right time is key to good decision making. Eka helped us automate a four-day, manual reconciliation process into a 30 second task." "Eka’s easy-to-use system can be accessed anywhere thanks to its cloud-based functionality." ""Prior to this deployment, we were using homegrown systems for trade capture, position management, and other activities." 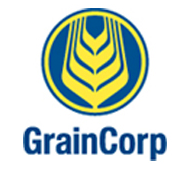 ""We need a robust grain management system that provides one version of the truth to improve management reporting, automate processes, increase efficiency and support our continued growth." ""We needed the most functionally advanced end-to-end agriculture trading, risk, and supply chain solution to support our growing business both domestically and internationally." "We chose Eka because we needed to partner with a company that could provide sophisticated risk management functionality in a secure cloud model,"
"We had outgrown our in-house system that was used across multiple businesses."